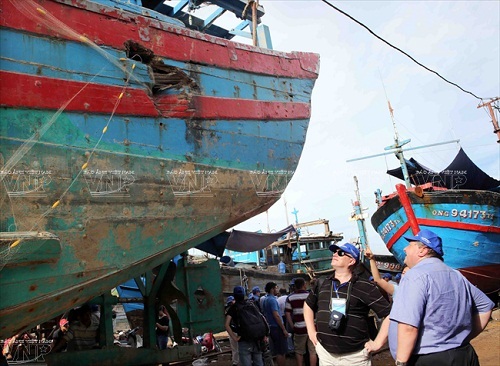 VietNamNet Bridge – On the sidelines of the international conference on Hoang Sa (Paracel), Truong Sa (Spratly) Islands in Da Nang on June 20-21, domestic and foreign scholars expressed their concerns over China’s deployment of more oil rigs in the East Sea. The deployment of additional oil rigs in the East Sea shows that China will seek ways to realize its U-shaped claims. It will not deploy just one oil rig but many other oil rigs, more airports and will occupy more areas to gradually turn the East Sea into a pond of their own. China’s strategy has always been to move backward to go forward and going forward is to occupy the entire East Sea. Its plot to monopolize the East Sea is very clear.